He was a teacher at the Indiana (PA) Normal School and headed the Blairsville Academy. In 1880 he was hospitalized for complications from his War wounds - one or more bullets had not been removed - and had his left leg amputated. He was then a private tutor in Homer City, PA until his death. Birth, death, burial data from Cook 4. Additional details from family genealogists and his obituary in the The Johnstown Daily Tribune of 9 February 1886. 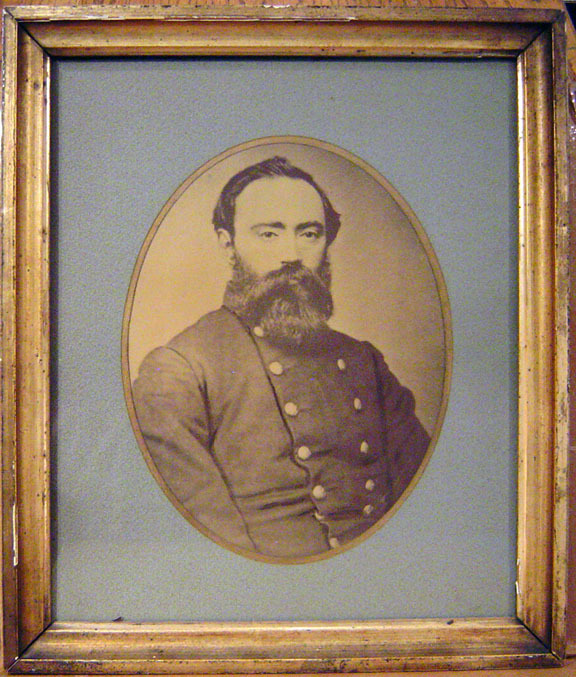 The photograph here from a portrait provided by Great-grandson Edward Kern Poole, M.D. and his son Andrew J Bolar Poole.